Keith, a native Cincinnatian, resides with his charming wife, Connie in Avondale. They are proud parents of Jalanee and Joshua, 19 and 23 years old respectively. From the Board: Keith is a treasured fixture at the House and inspiration to the guests. We thank him for his dedication and loyalty. A few weeks ago, I attended a college graduation. A lady judge from Franklin County, was the speaker. In her commencement speech she touched on several topics, but one statement she made was profound. She said remember YOU are the author of your own story, so you should come out the Hero! When men arrive at the Worker House they start with a fresh slate. He and only he is in control of whether he makes it or not. I believe we provide an atmosphere which is second to none, and we couldn’t do that without you. For 2012, so far so good. 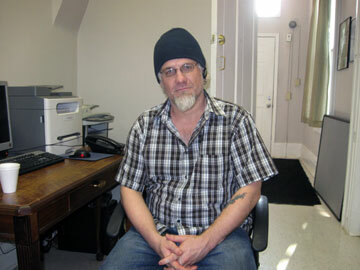 The Catholic Worker House has accommodated 103 guests through the first four months of the year. Of the 81 who stayed beyond a day or two, 30 succeeded in procuring a job, savings and more permanent housing. The others were provided shelter, food, clothing and an opportunity. These statistics are right on our averages for the last decade. Thanks to our diligent staff, compassionate volunteers and generous donors, this truly miraculous and necessary work continues. To translate the numbers into reality, please read the inspirational stories about Jeff and Starr in this issue. The House budget is not huge,but we maintain detailed records for transparency to donors, reporting to regulators and operational planning. Treasurer Joyce Kiernan and volunteer bookkeeper George Rebeck have diligently managed the books for years. Last year, we were fortunate enough to recruit a new volunteer bookkeeper with a strong accounting and information technology background. Dan Schmits visits at least weekly to assist Joyce and George. Dan is a first rate bean counter and his technological creativity is propelling us into at least the 21st century. Dan has implemented time saving techniques that create more time for Karl to manage the House and Joyce to produce financial reports and board recommendations. Dan is a Kentucky lad, grew up in Bellevue, met his wife, Kennetha, in Louisville and now resides overlooking the river in Newport. He is a Thomas More graduate. Dan retired after a successful IT career in various industry sectors. 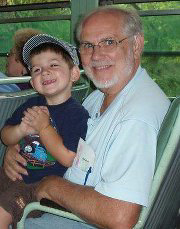 He much enjoys his three children and five grandchildren. One Sunday, while visiting downtown, Dan and Kennetha ventured down Liberty for Mass at St. Francis Seraph. They liked the parish’s diversity and commitment to the poor and became members in 2002. House Trustee Kevin Staigl, a Seraph parishioner, cleverly persuaded Dan to donate his time and expertise to SFSJ last year. We hope to keep Dan for a long time, so please stop by to say hi and thanks any Wednesday morning. Dan is a congenial fellow and will appreciate the well earned break. Homelessness and addiction know neither social nor economic boundaries. 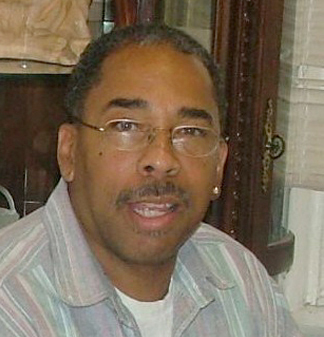 Starr Pierce was a successful co-founder of an IT company in California. He departed the company with a nice payout and bright future, “I partied like a rock star.” But, he quickly succumbed to meth addiction and, tragically, found his girl friend dead in their home in 2005. Broken and depressed, Starr returned to his Minnesota homeland He completed a 28 day treatment program, attended AA and NA meetings and participated in the Lutheran church. Incredibly, Starr achieved 4 years sobriety despite an escalating depression. Starr stayed at the House from March 7 to April 18 of this year. He finds the Minuteman labor “necessarily humbling.” He is grateful for what little he has and hopeful for his future. Starr attends 6-7 NA or AA meetings per week and now lives at the Wilson House in Price Hill. He seeks more permanent employment and housing while maintaining an infectiously positive attitude. Good luck from all of us at the House! Jeff Simpson presents no appearance of ever being homeless. He is bright-eyed, clean cut and personable. But, the dominoes fell. Jeff’s car failed, he couldn’t get to his job, couldn’t find another job, couldn’t pay his rent and had nowhere to live. Jeff grew up in northwest Cincinnati, but lived in New Richmond where jobs and human services are scarce. 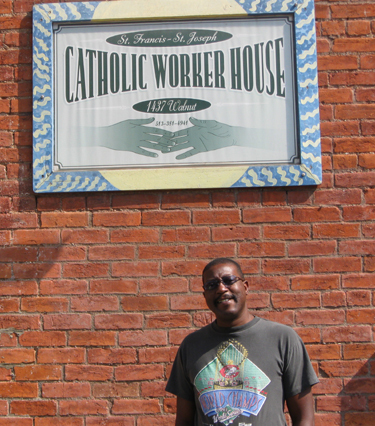 “I had no job, no money, nowhere to go.” After many frustrating phone calls and inquiries, Jeff entered the Catholic Worker House on February 24, 2012. 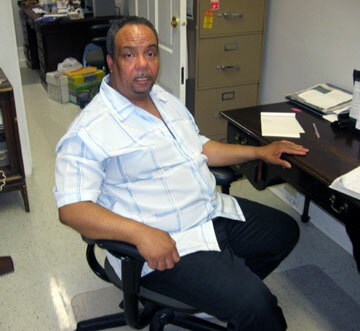 Having little contact with his family, Jeff embraced the House as his home, perceiving fellow guests as brothers and staff as paternal: “My favorites times were the shared dinners, especially with Brennan Hill Wednesday nights, and Danny’s Sunday morning breakfasts.” Jeff explored downtown and worked at Minuteman temporary services with Housemate Lamar. “It was great to have a friend for support and companionship.” House staff member John Clark continues to mentor and sponsor Jeff to this day. We wish Jeff well in his journey through recovery. The Catholic Worker House Board of Trustees invites all guests, former guests, staff, volunteers, supporters and their respective families to Winton Woods on September 8 to celebrate hope, express gratitude and have some end of summer fun. WHAT: Food, drink, games and lively conversation. And, maybe, prizes! WHO: Individual board members will provision the picnic. No House funds will be expended nor is this a fund raiser. This is to get to know each other and have some fun. Certainly, maintaining and updating a big, old house where 16 men continuously reside poses a challenge. Board members Kevin Staigl and Bob Bertsch work daily with Manager Karl Fields to establish priorities and get the work done. Right now, the front porch is our top priority for safety, foundational stability and appearance. You have seen our One Brick At A Time campaign whereby supporters purchase personalized bricks with proceeds funding the project. We require 150 bricks to fund the work, thus far, 89 have been sold. Please examine the flyer inserted in this newsletter if you wish to help. Cost is only $35 per brick. Thanks to all who have contributed. Goal is completion before next winter. Contractor delays have put us a little behind on the kitchen ventilation project, generously funded by the Conway Foundation. We expect the work to be finished by July. The next major improvement is flooring for the first story kitchen, serving room, living area and dining room. We are currently conducting research on durability, costs and funding of new floors. Look for an update in the fall newsletter.